These pineapple chunks in natural juice are the perfect way to add a pop of tropical flavor to your menu! Whether served alone or as part of your establishment's signature dish, these perfectly-sized chunks make every dish more memorable and keep customers coming back for more! Try your hand at zesty salsas, chutneys, or marinades. Use them as toppings for yogurt or cottage cheese or combine with other fruits like mango, papaya, and banana for a sweet tropical fruit salad. 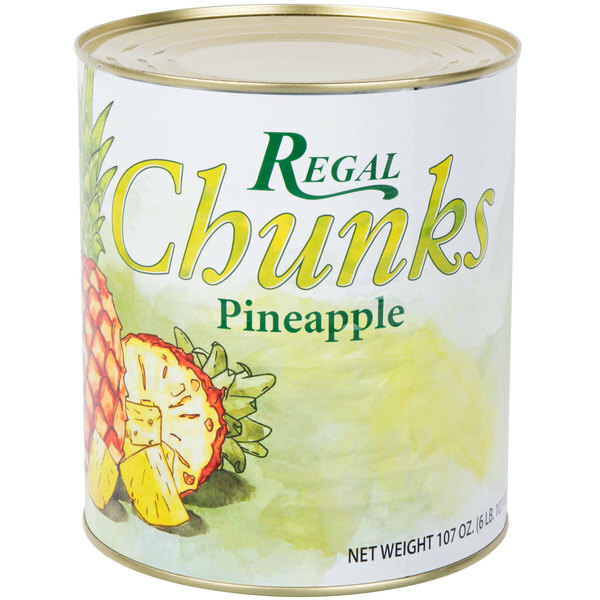 These pineapple chunks are packaged in their naturally sweetened and slightly tangy juice in a convenient, generously-sized can for easy preparation and superior service. Indulge your guests in a full-bodied taste of the tropics with the convenience of canned fruit. This item is certified Kosher by the Orthodox Jewish Community of Singapore. You can’t beat the price for a case Same great taste as the national brands. We use these for our pizza toppings and the are shelf stable until opened. Nice big junks of pineapple in natural juice that are very tasty. 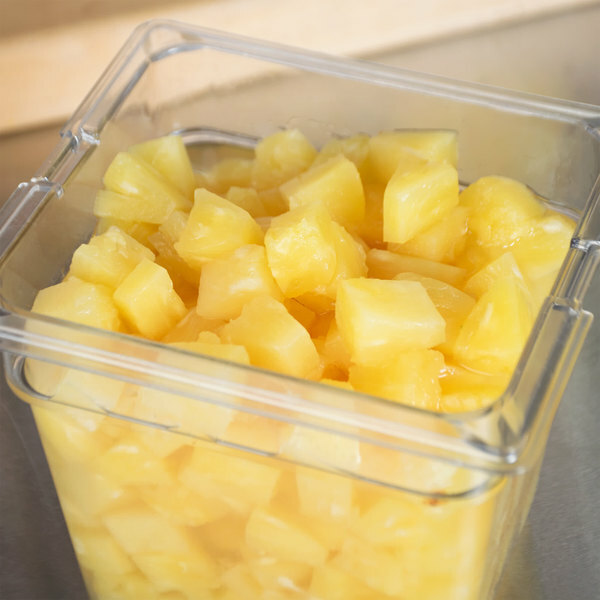 A nice way to add the fresh taste of pineapple to dishes quickly. 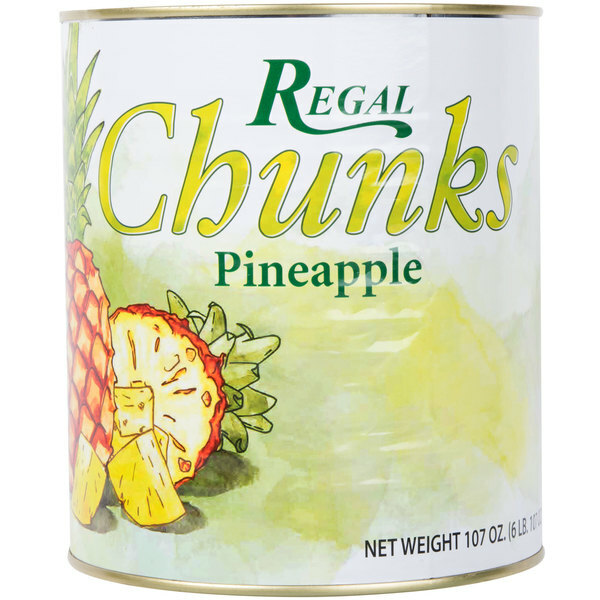 The pineapple chunks are a great buy and make for a great tasting snack. They are sweet and delicious and make for a nice addition to jello as well. The pineapple chunks in natural juice are delicious and tastes great. 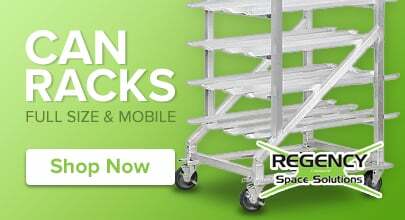 They are great for freezing and putting our specialty cocktail drinks. Also great in our smoothies. A nice quality pineapple chunk that is juicy and sweet. They are great for making our pineapple chicken and the juice is great for making punch. 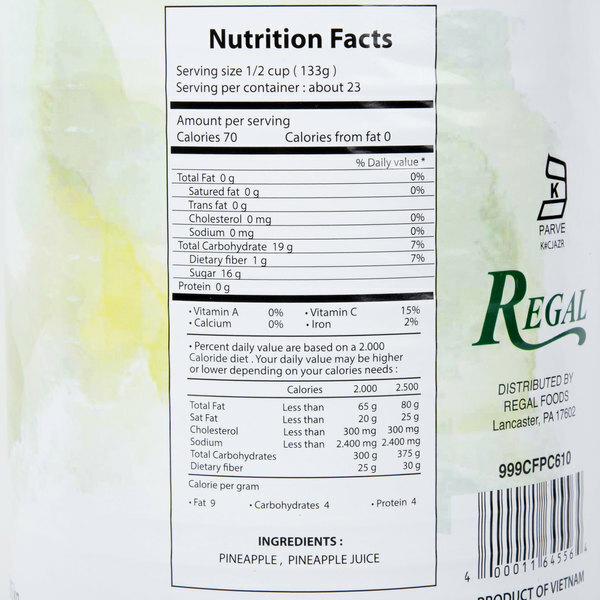 We are quite pleased with #10 Can Pineapple Chunks in Natural Juice - 6/Case from the Webstaurant Store and will definitely order again in the next round of supply orders. The chunks of pineapple are very yummy. The natural juice is also a plus. 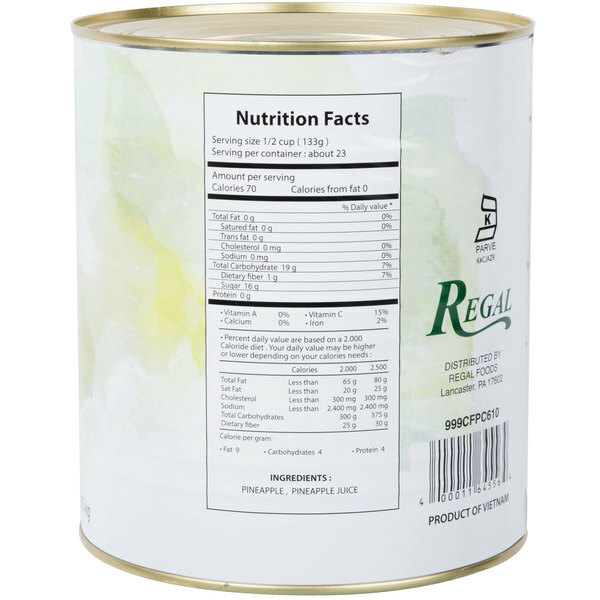 Natural and organic are two food labels that are becoming more popular. 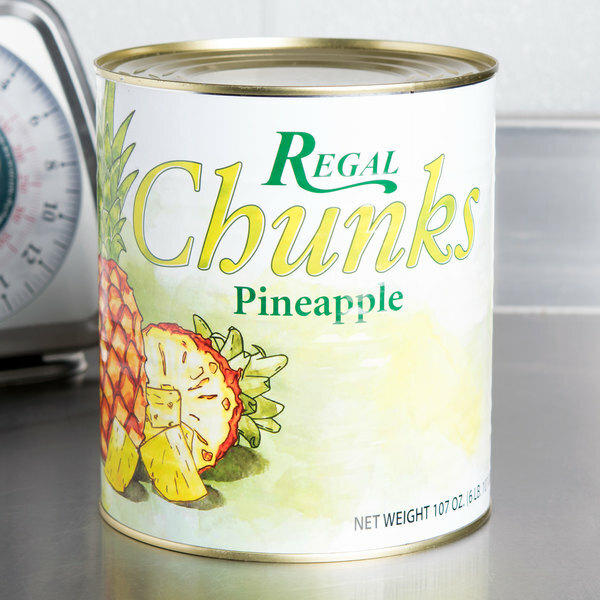 We love the pineapple chunks straight out of the can. Sometimes we mix them in with other fruits, and always use them when we cook our ham. Sometimes we put them all over the ham with toothpicks (even use a few cherries mixed in for color), or put them in the bottom of the pan with juice and sprinkle your spices on top of them. I use ground cloves. These were so good and sweet. Such a deal compared to the grocery store. Great in smoothies and making ice cream with or dole whip.